I won another giveaway! Can you believe it? I was so surprised. I rarely win one, let alone two. What did I win this time? 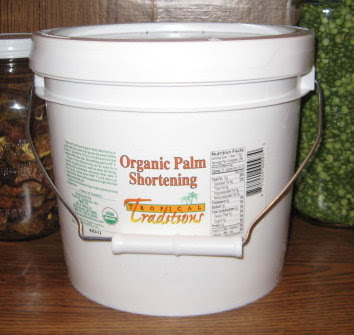 A one gallon tub of Tropical Traditions Organic Palm Shortening from Just Making Noise. If you remember my blueberry pie recipe, then you know how much I love organic palm shortening. What I didn't tell you, was that I've had a hard time finding it locally. What I didn't know, was that there was another brand. 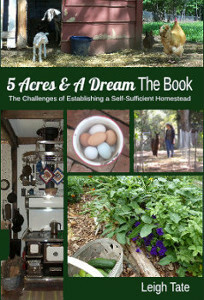 When I saw this giveaway on Marilyn's blog, I just had to enter. I was delighted to win. Of course I had to taste test it immediately.For that used my grandmother's ginger cookie recipe, which is a holiday favorite at my house. I've had problems with this recipe because it calls for shortening, which I had stopped using some time ago (hydrogentated kind). Butter or margarine just don't do the same in the recipe, and I've missed the taste of those cookies. If this shortening could pass this test, I would be sold, lock, stock and barrel. Mix well and chill thoroughly. Form into 1 inch balls and roll in granulated sugar. Bake on greased cookie sheet at 375 degrees F for 8 - 10 minutes. Do not overbake. Makes 4 dozen. Results? 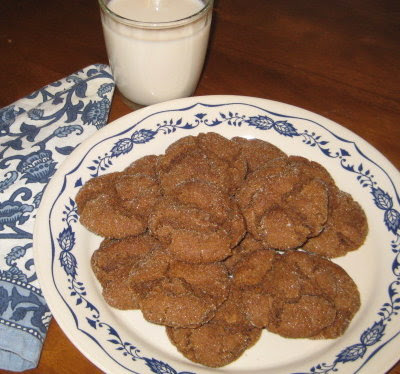 Well, I almost hate to admit it but they were better than Gramma used to make!!! Virgin Coconut Oil: How It Has Changed People's Lives, and How It Can Change Yours! by Brian and Marianita Jader Shilhavy. (You can get a free copy too, more on that in a minute.) You can click on the image for a closer look. The coconut is absolutely yummy and the book is very interesting. It starts by telling Brian and Marianita Shilhavy's story and then explains what virgin coconut oil is, as well as it's health benefits. 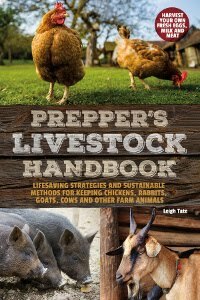 There are specific chapters that deal with the effect of virgin coconut oil on obesity (did you know that pig farmers won't feed it to their pigs because they don't gain weight on it? ), thyroid health, skin health, candida yeast infections, and cholesterol levels. There's more, including a recipe section. Both personal testimonies and references document the claims made in this book. Of course, after reading it I wanted to try coconut oil too. It seems that the typical oils and fats we consume are largely responsible for declining health in industrialized nations. Others have written about this (great articles here), so I won't go into that here. Needless to say, I've been looking for replacements for the fats I use in cooking. The organic palm shortening is one resource, but I've been looking for a cooking oil as well. Extra virgin olive oil does well for some things, but not for others. Is coconut oil the answer? The logical answer to the dietary fat dilemma would seem to be home rendered lard from a pasture fed hog given no antibiotics nor growth hormones. Not something I can buy in the store, but possibly something we can do in the future. In the meantime, I am going to purchase healthy fats and oils from reputable sources, because a self-sustaining lifestyle also requires good health! OK. I mentioned you can get a free copy of Virgin Coconut Oil. As a giveaway winner, Tropical Traditions extended the opportunity to my blog readers to get a free copy of that book. Anyone placing a first time order, can use my ID number 5682731 in the "Referred by a friend" box during checkout, and they will include the book with your order. I am thinking Cookies!! Those cookies look fantastic! I already have one frequently requested spice cookie recipe (ginger and many spices), a second that comes highly recommended, and now yours looks great too. The texture of them especially. I need to read up on tropical oils. I don't know much about them. Thanks for providing so much info & congrats on your prize! Thank you for the run down on tropical oils. As we have not one but two organic groceries in town this is something I have seen but not thought much about nor purchased! Oh god the cookies look delicious. They would be great with my coffee this morning wouldn't they? Congrats on winning that lovely bucket too. They certainly do come in handy. I get large ones that the horse vitamins come in. Always a use for them. Wow you have good luck! Those cookies look very yummy! You said, "I am going to purchase healthy fats and oils from reputable sources, because a self-sustaining lifestyle also requires good health!" I agree, and for that reason I would continue buying those healthy fats and oils rather than use lard. Even if you raise your own hog, lard is pure cholesterol, not healthy by anyone's standards. "Self-sustaining" is a good goal, but after all, even the native Americans traded with other tribes for things not found in their area! I will definitely be checking the products Tropical Traditions offers! OK Sue, we want recipes! :) I didn't know much about tropical oils either, but was very interested in what I've learned. I did order some coconut oil from Tropical Traditions, though I went with the expeller pressed oil. It is still supposed to be a healthy fat, but without the coconut smell and taste of virgin coconut oil. Theresa, these are absolutely excellent with coffee. I started using the palm shortening because it was organic. I continued using it because it made everything taste so good. Now I'm happy to discover that it is a healthful fat too. Julie, isn't it funny? I usually don't win things so two is a big surprise. Renee thanks! I suspect my run of wins is over. I also entered a giveaway for chicken laying boxes, but I doubt I'll win again. Michelle, you need to read Nourishing Traditions by Sally Fallon! It will absolutely blow your mind about fats and health; about what we've been told, and about what the facts are. I'd be interested in your opinion if you can get your hands on it. Good point about traditional peoples and trading too. I honestly don't know if it's a goal we'll ever reach, but it helps us in our decision making, whichis good. I've been wondering about shortening. A friend told me she made pie crusts with butter so I tried it and didn't like it. It takes me all year to use up the three "sticks" that Crisco sells. I just bought a new pack and made a quiche with plain Crisco yesterday. It made me realize that the butter Crisco didn't make good crust either. I wonder if the palm oil I use in soap would be safe to cook with. I'd like to try some. How interesting. I thought both coconut and palm oil were on the no eat list in regards to cholesterol. You have given me reason to read further! Thanks! Oh, if the cookies could jump off the page!! They look very good!! Sharon, good question. I would guess it wouldn't matter though you could ask your supplier about the grade of the oil. I use palm shortening for biscuits and now for any recipe calling for shortening. The type of fat really makes a difference in both texture and taste. I didn't like butter for pie crust either. Bettina, dye soaking buckets! Good idea! Flower, I always thought the same thing. In my research however, I've discovered that some of the diet "rules" regarding fats are motivated by industry profits. Nourishing Traditions sites the same studies, but includes the findings omitted by current dietary recommendations. It's an interesting study; one that everyone should take a look at for themselves. I've usually stayed away from both palm and coconut oils after reading much about how they added to cholesterol problems, but I will read further after reading this entry, Leigh. I did find a WONDERFUL oil in New Zealand - rice bran oil. It's not available here yet so I always have my relatives bring some when they come this way. Both our cholesterol levels drop tremendously on it and I use it in a oil/butter/lecithin homemade margarine recipe I have that's good for the heart and its plumbing. I would repeat the idea that totally self-sustaining is a slightly unobtainable goal. Mostly self-sustaining is quite good enough. If you look back through history, human beings always traded for things we didn't couldn't obtain locally. What I want to buy locally is the things that are appropriate to my area, but always with a willingness to buy elsewhere for other items. I just need to regard them as extras that I CAN do without, even if I don't want to (who can truly live without coffee?). I recently read a book called Real food that talks about many of these fat--cholesterol linkages and how they are not really based on truly good science. Bearing in mind the moderation approach to all things, I see no reason why you should shun lard or palm oil. and of course the Virgin Coconut Oil book. Unfortunately politics has entered the arena of nutrition, which tends to slant things in favor of the big money makers. Then too, the studies used as evidence are often funded by the very industries which stand to profit from the results. Rice bran oil sounds interesting! Another example of a good local resource. Bibliotecaria, I agree that true self-sufficiency is neither truly attainable nor completely desirable. As a goal however, it is a valuable tool for setting priorities, making life choices, and keeping one in touch with the natural world. I realized a long time ago that materialism, consumerism, and pursuit of financial security as a lifestyle is not only not fulfilling, but frustrating. It just made life more complicated. My conclusions and solution are pretty much summed up in my post, A Simple Life. Regarding lard and palm oil, you are absolutely correct. As I mentioned though, I would be reluctant to use commercially processed lard not only because of the preservatives but also because of the probable diet of the pig. And that goes back to my goal of a self-sufficient lifestyle. It is more feasible for me to raise and butcher the pig myself, than be able to find and afford a source for that kind of lard.